Why was Natural Citronella Oil Banned? Seeing as Citronella is one of the main ingredients in Osana soap. In 2012, citronella-based insect repellents were targeted and phased out of Canadian marketplaces by Health Canada – the Canadian equivalent of the EPA. Citing a study that found internal ingestion and intraperitoneal injection of methyl eugenol, a constituent compound found in citronella, to be “reasonably anticipated to be a human carcinogen,” Health Canada took what many consider to be a drastic step to eliminate insect repellents from store shelves nationwide. The decision was met with much criticism primarily due to the study that was used as justification. Bruce Ames, PhD at the Seventh International Symposium on Functional Medicine, developed the Ames Test for carcinogenicity. This test is preformed on compounds to determine their potential to mutate genes. Based on the results of this test one can determine the likelihood a given compound has to cause cancer. Dr. Ames, however, offered a warning when utilizing this test: when individually tested, about 50% of the constituent compounds found in common fruits and vegetables will test positive – even though when consumed as a part of that apple or carrot they may well protect against cancer. Therefore, when testing an individual compound one has to be careful not to extrapolate. Methyleugenol tested positive. It may also be of interest for some to know that the EPA has deemed citronella oil to be a safe ingredient. Interestingly, products containing DEET have not been targeted at all by Health Canada – or, for that matter, the EPA. Perhaps this is rightly so, as DEET has not been scientifically deemed harmful when used as directed. That being said, many consumers have had bad experiences with the chemical, and therefore resort to other, more natural repellents. Some studies have found DEET to be problematic, among other chemicals often found in bug repellants, when the exposure is prolonged, or when the product comes into contact with eyes. For this reason and others many people opt to resort to more natural solutions to the mosquito problem, especially when protecting children. In the U.S., at least, where citronella-based insect repellents are still readily available, the decision to use natural repellents or chemical-based repellents is ultimately left up to the individual consumer. When using DEET products, consumers are often encouraged to use products that contain a low concentration – under 30%. They are also encouraged to first try more natural methods of insect control, and to resort to harsher chemicals only when needed. 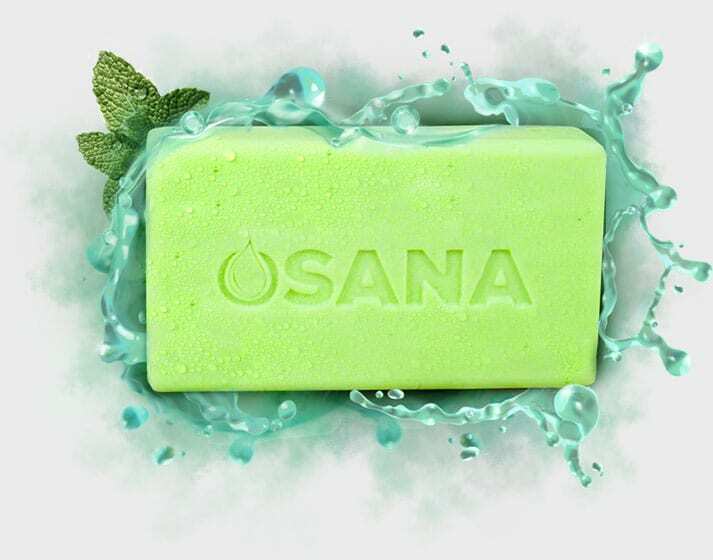 Many individuals may opt to rely entirely on natural methods, and for those individuals Osana soap is a great place to start.